I just finished getting the sashing on this quilt. I've had so much fun sewing along with Donna. I love the colors and prints in this quilt and the pictures really don't do it justice because the colors are so much prettier in person. I used my stash of Japanese novelty prints. I am in love with all the little characters in the fabric. Thank you, Donna, for a fun quilt-along! Very sweet! I love the colors that you used! It's been some time since I posted a comment on your blog, but I often visit. 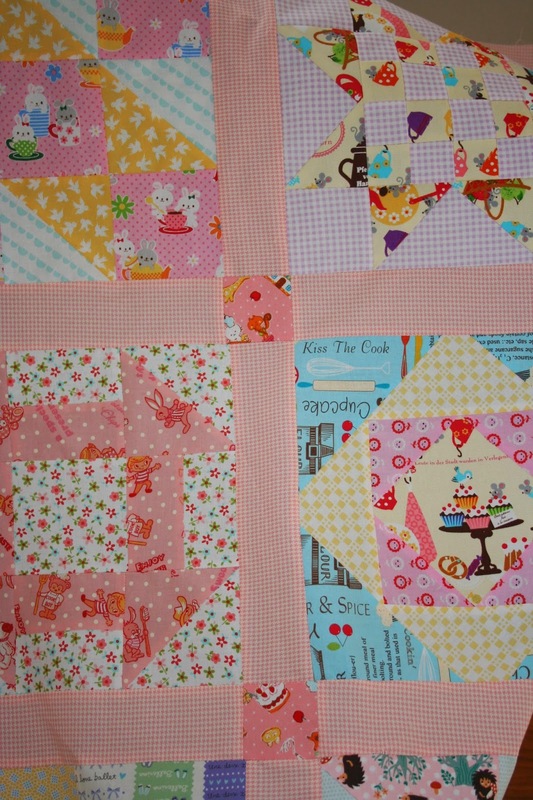 I love your sweet quilts! And your pictures inspire me a lot. These colors are beautiful. Thank you for sharing :). Have a great day! That is just beautiful. Great job can't wait to see it quilted. 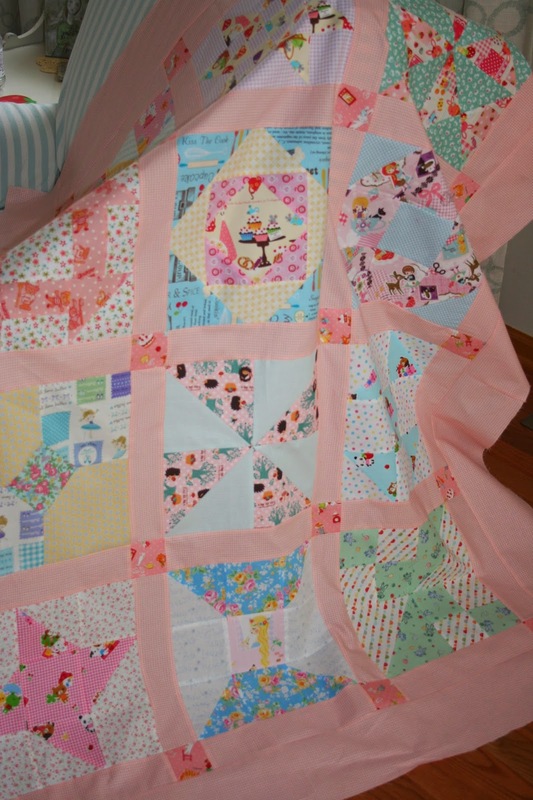 i love all those happy colors and the sweet little houndstooth you chose for sashing! It really is so sweet, Renee! I love the fabrics you used! How fun! Very pretty! The colors are so happy. A little girl wrapped in that quilt would never have a bad dream! Such sweetness indeed! I admire your creativity and productivity. Be blessed! 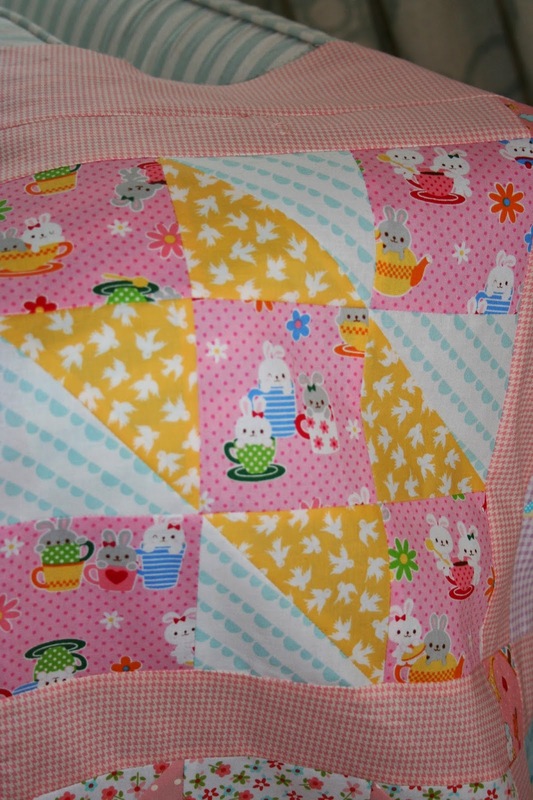 Renee your quilt turned out just precious. Love all the little prints too.